On Saturday, August 11th, two of the biggest names in the car industry will be coming together to bring you the best showcase around. 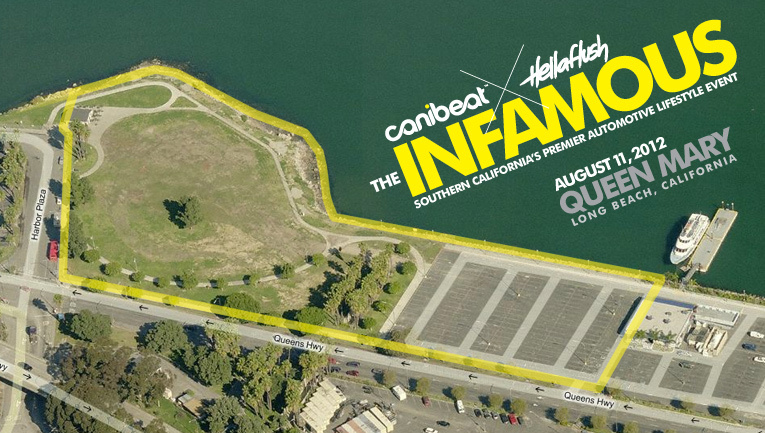 Canibeat and Hellaflush will joining forces to bring you The Infamous. A showcase featuring some of the best VIP, Hellaflush, Time-Attack, Classic, Muscle, Drift cars, and ruckus’s from the West Coast. 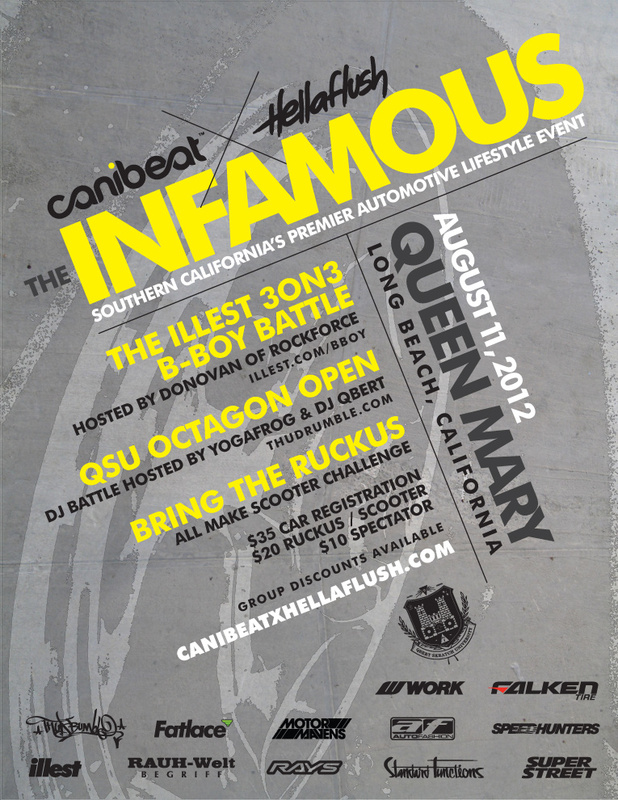 This is all going down at the Queen Mary in Long Beach, California. Because I am part of the Hellaflush team, you will definitely be seeing my friends and I there to support the people we love and the things we love. Come on out. Location: Queen Mary. Long Beach, California.